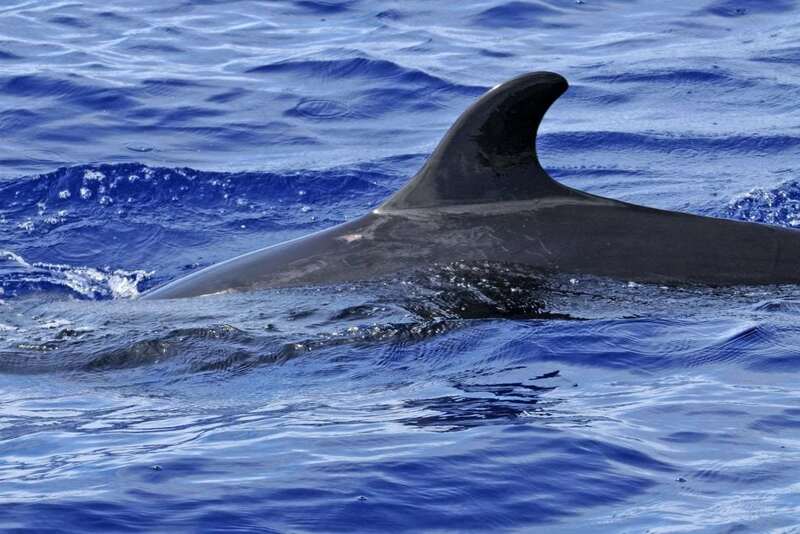 False killer whales are so sociable they’ve even been known to offer food to human divers. Playful and social, these dolphins enjoy hanging out with other species, including bottlenose dolphins. They are prone to beaching in large groups - perhaps because the noise we humans make underwater messes with their navigation. 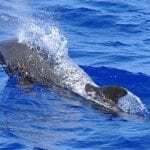 What do false killer whales look like? 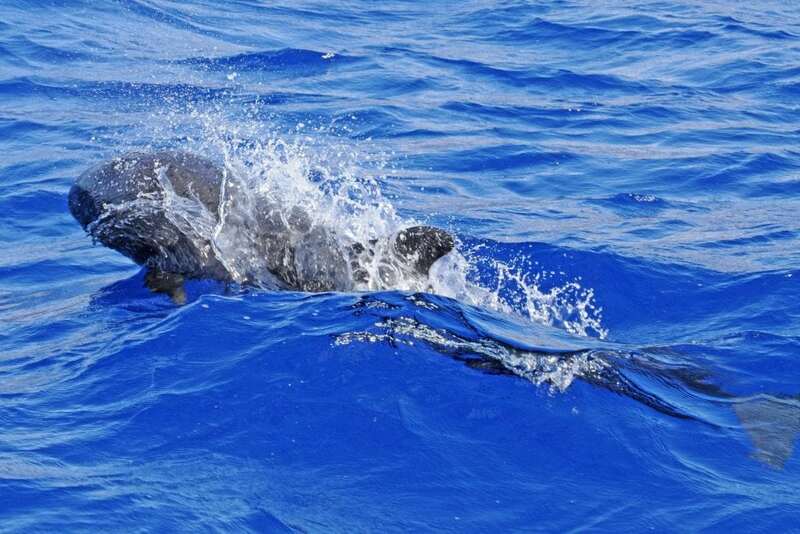 You’ll recognise these dolphins pretty easily because of their long, slender, black or dark grey bodies, a narrow pointed head with no beak and a prominent bulbous forehead, or ‘melon’. They have long, slim S-shaped flippers that make them look as though they have elbows and a tall, tapered dorsal fin. These dolphins will usually have a slightly paler neck and some individuals have a pale ‘W’ shape on their chest. They look similar to pygmy killer whales and melon-headed whales and are very difficult to tell apart. False killer whales are much bigger and their size and unique flippers mean you can tell them apart, but only if you know what you are looking for. What’s life like for a false killer whale? Family and friends are everything if you’re a false killer whale. They are highly social, forming strong, lasting bonds and friendships. These spirited dolphins tend to swim energetically in groups of 10 to 40 dolphins, jumping out of the water, performing flips and generally mucking about together. Sometimes they will join with other pods to form superpods of hundreds of individuals. Can you imagine what an awesome spectacle that is if you are lucky enough to witness it? A false killer whale mum will nurse her baby for up to two years while she teaches her or him everything they need to know about being a dolphin. 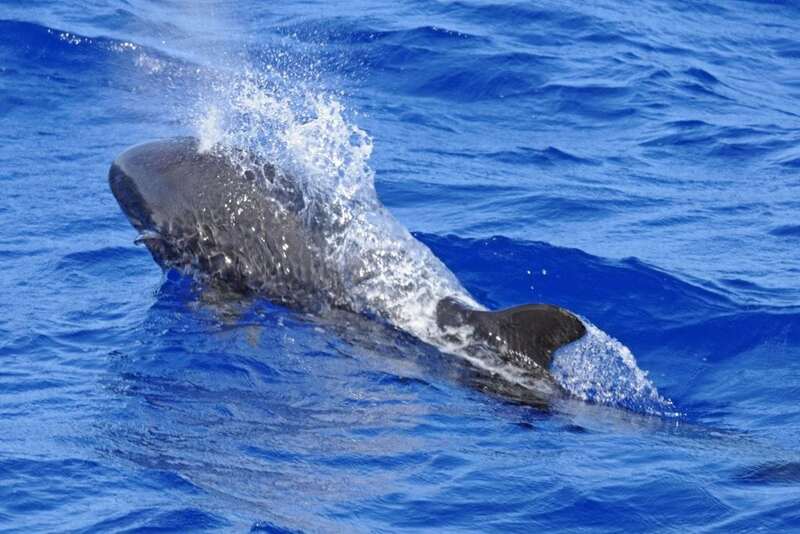 False killer whales mostly eat fish and squid but sometimes they go for other marine mammals, such as smaller dolphins or even humpback and sperm whales, although scientists aren’t sure if they eat them or just kill them to get rid of the competition for food. They eat bigger fish than many other dolphin species with an appetite for tuna and mahi-mahi and can consume up to five per cent of their own body weight every day. Feeding isn’t a solitary pursuit. They will hunt together and share food around between pod members and have even been known to offer food to human divers and snorkelers. These remarkable dolphins are found in tropical to warm, temperate waters all over the world. Sadly, most of what we know about where they live and the routes they travel, comes from studying individuals who have stranded - in fact we don’t even really know if they migrate. 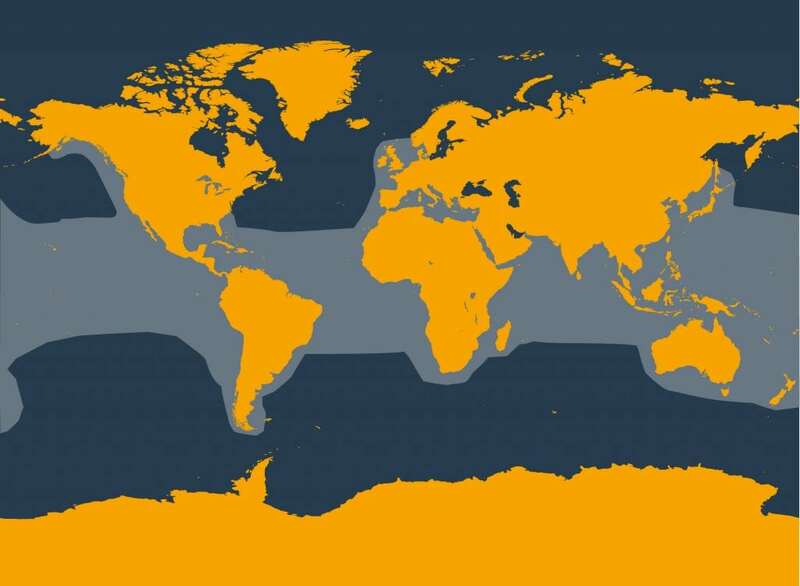 The populations seem to be pretty spread out, and are often found in deeper seas which means that we don’t know an awful lot about them. But there is one population, who live in shallower waters off Hawaii, that is well–studied, and a lot of what we do know comes from this group. 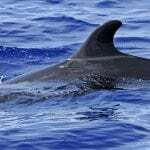 Maybe the strength of their family ties and friendships plays a part in mass standings of false killer whales. Underwater noise can cause them to get disorientated and if one dolphin gets into trouble, the others follow. The worst recorded case involved 800 individuals. You may be shocked by the number of threats these dolphins face. They might not be the first species that pops in your head when you think about dolphins, but they need our help urgently. Hunting – they are one of the species targeted by the brutal dolphin hunts in Taiji, Japan. Captivity – false killer whales are held in tanks and face the risk of being snatched from their families to be sold to the entertainment industry. Strandings – they are prone to mass strandings, thought to be caused by factors like noise pollution. Their close social bonds may cause them to follow one another into danger. 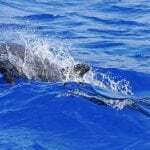 Fishing nets and gear – like other species, false killer whales face a horrific death in fishing gear.